April 23rd is World Reading Day, and many will be markng it with more than just a cover and a quiet corner. They will be joining their reading clubs, as they would do on any given weekend. It's become an important past-time for many people in China. It's the weekend, but 3rd grader Lin gets up early and rides 20 kilometers from home, for this. He reads Chinese classics with his father and other book lovers, in the club YANWUJIQUE. The group read and re-read the classics, copy in traditional calligraphy style, compare notes and help each other decipher the texts. Lin's father says it's good for the boy. And the club has been good for him too. It helped him get through the Four Great Chinese Classsics, which he considers all Chinese people should know. "These books——they use different characters and all have different meanings from now, so getting through them is difficult. It's as hard as scaling the Himalayas. You can't possibly do this alone, right? You have to have company," Reading club member Lin Yi said. And that's how the reading club started in 2008, with just a handful of enthusiasts in a tea house. It has more than fifty members now. The morning we met the Lin father and son, the club had two other reading sessions going on elsewhere in Beijing. So each one runs efficiently. "We have this name because we want to revive the ancient Chinese tradition, where gentlemen meet, read together and improve themselves. It's what Confucius preaches. To have a better character through reading, it's still our goal," Founder of YANWUJIQUE Reading Club Han Song said. Han says he couldn't live without the club now. And thousands of people in China's bigger cities would agree. According to unofficial tally, there are two hundred mid-scale book clubs in Beijing and Shanghai each. And Chinese are reading more. 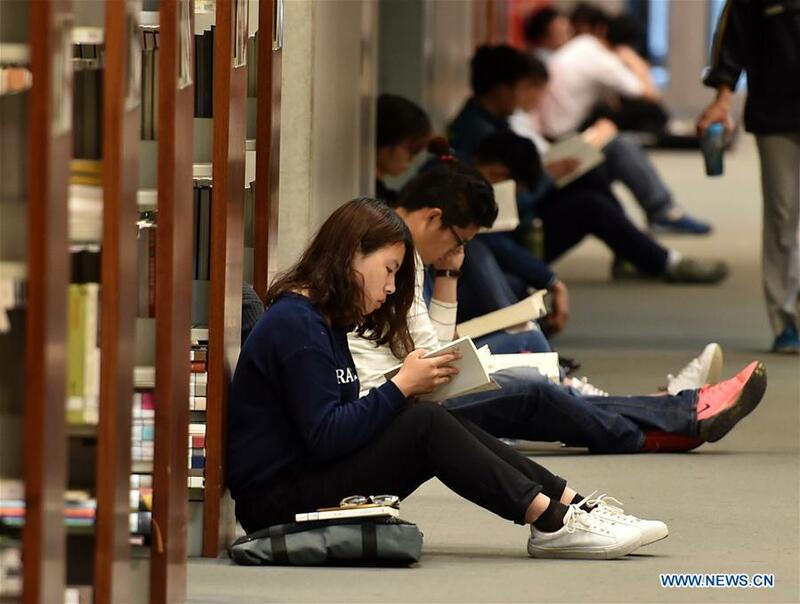 The latest national survey says Chinese people are reading about 8 books on average each year. With some eighty percent of the entire population taking up the activity. That's a steady climb since China started to promote reading in a nationwide campaign almost a decade ago. On top of this, the same survey says 66 percent of Chinese readers want to enroll in some kind of group activity. So for books and book clubs. The more, the merrier.